Baobab trees live in Africa and Australia. They have enormous trunks that are between 25 and 35 feet wide where they store many thousands of gallons of water for the dry seasons. They’ve been known to survive up to ten years without water. 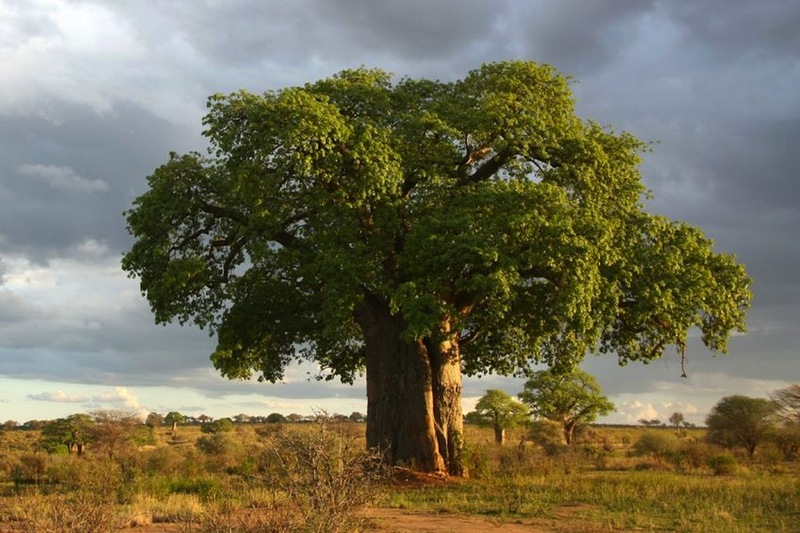 Sometimes called the tree of life, baobabs provide shelter, food and water for animals and humans. Baobabs are also called the upside down tree because when they lose their leaves each year, they look like their roots are reaching for the sky. Other interesting baobab facts? They live to be at least one thousand years old, elephants love to eat the bark during the dry season to get the moisture from the tree’s water reserves, and they only have leaves for three months of the year. An all around pretty cool tree, we think.